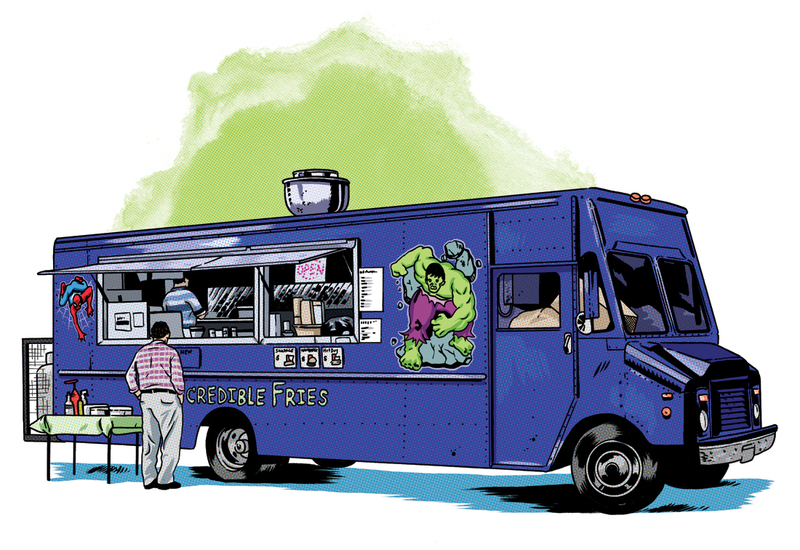 Joel saw this chip truck with its comic book theme and thought “Must. Draw”. It’s located at 350 Cannifton Road in Belleville, ON. We give it high marks for a great paint job!